Procedural Dispute in Stone Case Highlights Trump Campaign Collusion With Russian GRU. 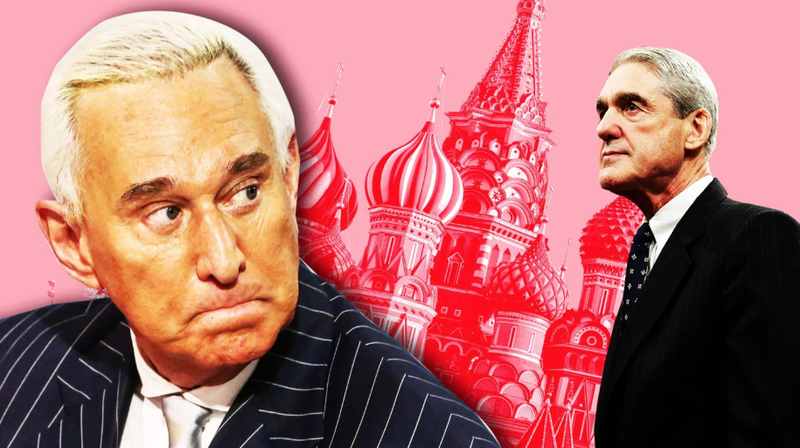 On February 15th a follow up filing in the Roger Stone case brought home just how close some of the cases against Trump associates are to direct collusion between the Trump Campaign and the Russian GRU. Keep this in mind when Trumpers say Mueller is not even alleging collusion. Mueller is saying the case against Roger Stone is so closely tied to the election interference charges also filed against the Russian GRU, that they are legally “related cases.” Mueller argues the two cases are bound, arising so strongly out of the same events and transactions, that judicial economy is served by the two cases sharing the same judge. The media is jumping on the filing because it directly states that information gathered from search warrants prove communications between Stone and Wikileaks (an agent of the Russian GRU) and between Stone and Guccifer 2.0 (just flat out the Russian GRU). That is significant. But the greater procedural context associated with this filing is even more so. Stone was assigned the same judge as the Manafort case. Most assumed that was a random draw. It wasn’t, though not necessarily related to Manafort. When filing an indictment, prosecutors are routinely required to identify related cases. When doing so in the indictment brought against Roger Stone, Mueller’s Special Prosecutor’s Office cited United States v. Netyksho et al. That is the case Mueller already filed against Russian members of the GRU who meddled in the election. These 12 Russian GRU agents are charged with computer hacking, multiple accounts of identity theft, money laundering, and conspiracy against the United States. Because Stone’s case was supposedly related to this Netyksho case against the Russian GRU it was, in the interest of judicial economy, assigned to the same judge. So not a random selection. Stone filed a motion objecting to this, seeking that the court declare Stone’s case unrelated to the Netyksho case, so that the judge would then be randomly assigned (with any luck to a different judge). The filing on February 15th linked above is Mueller’s opposition brief to Stone’s motion. It argues the cases are related. Mueller, citing the rule applicable to the court, first argues the cases are related because they arise from the same search warrant. For the record, “Organization 1” is Wikileaks. So search warrants related to the Russian GRU defendants unearthed communications between them and Stone, that Mueller elsewhere asserts Stone then shared with the Trump Campaign. It gets worse. “[Stone’s] false statements did not arise in a vacuum: they were made in the course of an investigation into possible links between Russian individuals (including the Netyksho defendants), individuals associated with the dumping of materials (including [Wikileaks]), and U.S. persons (including [Stone]). STONE was an official on the U.S. presidential campaign of Donald J. Trump (“Trump Campaign”) until in or around August 2015, and maintained regular contact with and publicly supported the Trump Campaign through the 2016 election. During the summer of 2016, STONE spoke to senior Trump Campaign officials about [Wikileaks] and information it might have had that would be damaging to the Clinton Campaign. STONE was contacted by senior Trump Campaign officials to inquire about future releases by [Wikileaks] . . .
By in or around June and July 2016, STONE informed senior Trump Campaign officials that he had information indicating [Wikileaks] had documents whose release would be damaging to the Clinton Campaign. The head of [Wikileaks] [Julian Assange] was located at all relevant times at the Ecuadorian Embassy in London, United Kingdom. After the July 22, 2016 release of stolen DNC emails by [Wikileaks], a senior Trump Campaign official was directed to contact STONE about any additional releases and what other damaging information [Wikileaks] had regarding the Clinton Campaign. STONE thereafter told the Trump Campaign about potential future releases of damaging material by [Wikileaks]. Who told a “senior Trump Campaign official” to contact Roger Stone to get more damaging information from Wikileaks is not known, but I believe it was Trump himself. From the Russian GRU to Stone to the Trump Campaign, the collusion is there. It’s so strong that Mueller is, in some sense, partially merging his case against the Russian GRU with his case against Stone. That is the real significance of the January 15th filing by Mueller in the Stone case.